It doesn’t happen very often when you read a book at just the right time. For me, this book was it. I read one chapter of this book at a time because I wanted to absorb the information. It addresses the issues of today by focusing us on the Bible and providing Bible passages to help guide us. He helps us find hope today and tomorrow. Culture today is very polarized and it can seem hopeless. However, Kaltenbach reminds us God is the same yesterday, today and tomorrow. He is consistent. And many of the issues today were issue in Biblical times. In realizing this, the Bible can be a great resource when we are feeling worried and stressed today. I found this book to be a fantastic read and incredibly timely in its release. I give this book a 5 out 5 bookends. I did receive a free copy of this book from the publishers for an honest review. Wow! It’s been a whirl wind around here! Spring time tends to pick-up for us. We’ve got kids activities and my training for a half-marathon. That paired with increased sunlight, we start spending a lot more time outside and less time sitting at home.With all of this extra activity, I get less time to read and less time to blog. Tonight, I plan to get caught up on a few blog entrees, please excuse the multiple posts. Susan Larson is a popular radio show host whose Biblical teaching helps strengthen people faith. I was very excited to get this book as I love listening to her radio show. 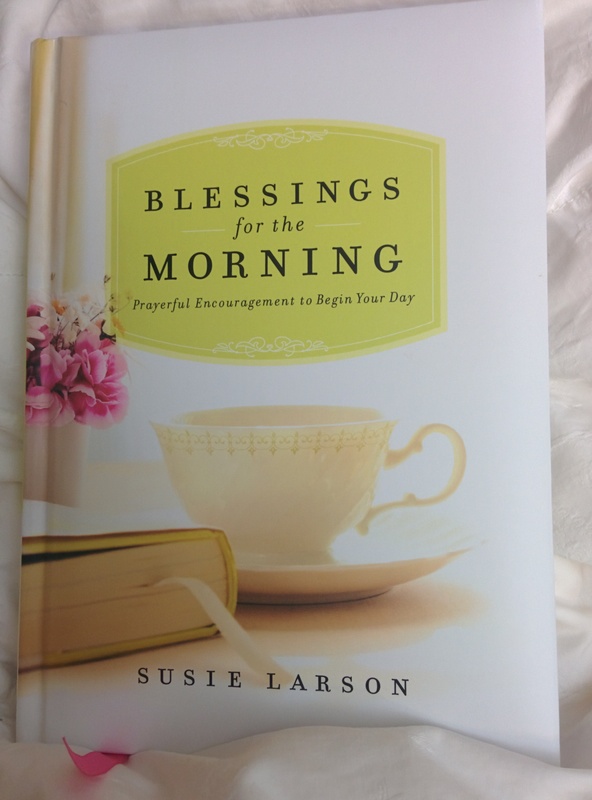 This book is filled with quick blessings/devotions paired with a Bible verse. I found this book up lifting and points the day in the right direction. The words are soothing. Its good to keep in these are short passages that help focuses your day but it’s not a full devotional. I found this book uplifting and enjoyable. On a scale of 1-5 bookends, I give this book a 5. This book was one of our book club selections. Personally I was drawn to it because of its Iowa ties. I love reading about amazing things Iowans do! I learned so much from this book. I had not realized or given much thought to Japanese prison camps during WWII. Especially very little thought about the woman and children stuck in those camps. 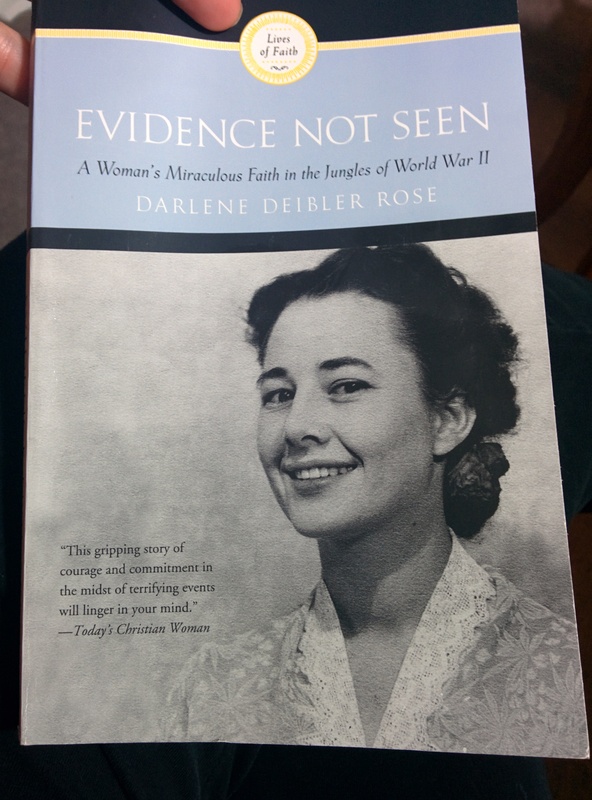 Darlene was a newly wed young woman who arrived with her husband in the East Indies for her first mission trip. Her husband was a seasoned missionary and she was excited to join him. What happened the years that followed including her time in a Japanese prison camp will change her and her fellow captives forever. This book was amazing! The book contains multiple examples of true miracles and God’s responding to prayers. Some of those direct answers were after years of eating rice and being at her lowest point, she prayed for bananas and received bananas. Another was a woman whose foot was severely infected with the tall tale signs of red streaking was healed. Her witnessing her faith to a mean and violent man who had a softened heart. And that’s just a few of the numerous examples. This book not only provided an example of God’s power but it also helped me with increased knowledge of World War II. Personally I had very little knowledge of prison camps and, seriously, hadn’t realized woman and children were caught up in them. The book provides first hand knowledge to a war that many are now far enough removed they don’t have family members telling them about it. The book is written in a lecture style.The language isn’t laid back enough for me to think of it as conversational. At first, it seemed bit cold and factual. However, as she continued to tell her story, the strength of her faith and emotional connection really came out. As I read more into the book, I became more connected to the story. I needed tissues in several chapters. This book was a great read one that will not only provide a brief history lesson but will also tug at your heart. I would recommend this to anyone interested in World War II, missionary work, faith, and miracles. Last night our school had a fundraiser at a local restaurant. I took my daughter and we met one of her friends and her mom. The place was busy and noisy. The girls were giggly, loud, and squirmy. The service was slow as expected due to a great turn out for the fundraiser. Despite having to reel the girls in a few times, we all had a good time. Then it came time to leave. My daughter knows we don’t go running out of a store and towards the parking lot. I’ve reinforced her the need to stay close to me. However, last night all the excitement had gotten to her and I was a little worn out and tired from the day. She and her friend took off running out of the door and toward the parking lot. I yelled gently at my daughter and she kept running. So, I yelled firmly using her whole name. I rushed to her because she was running to far for my comfort zone. I immediately scolded her for her behavior. Her punishment was to get into the car while I and her friend’s mom finished our conversation. We were trying to plan a time that we could get together next with the girls. After I finished the conversation and helped my daughter find her missing doll, I reconfirmed to her that I loved her very much but her behavior was inappropriate. I told her that her actions were not safe and even if we were having fun we had to be safe and listen. And then the tears came. Huge crocodile tears were pouring down her cheeks. She was upset and sad that she’d disappointed me. She was embarrassed she’d gotten in trouble in front of her friend. She felt very, very bad for be disobedient (her words). And then my heart broke. Even this morning she said to me she was so sorry for last night.I reassured her we all make mistakes and that I loved her so much. She is my sensitive one. She is the one who likes to push the limits a bit. I knew she was sensitive but I still scolded her harshly. I felt horrible. I wanted the lesson to be taught, but was I too hard? Had I let the situation with her behavior go to far all night that I was at my frustration point? How can I keep that from happening again. I felt like the worst mom ever. I’m certain I’m not the only one that’s been there. Said something to their child either a little to harsh, handled things poorly or reacted without thinking. We all make mistakes. Despite wanting to tear myself up over this, I will not. I will take it as a learning lesson. I will have a better in plan in place before we do our next friend’s outing. In fact, I already know what I will do before next time. 1) I will tell her ahead of time of the expected behavior 2) I will tell her she will hold my hand when leaving the store/restaurant/etc as we normally do. I know I’ll stumble as I continue down this parenting path. New things and situations will come up. I will make more mistakes but I will learn from them. I find ways to move forward and to do things better the next time. How have handled a parenting mistake or when you’ve over reacted? I’d love to hear from you! Proverbs 9:9 Give instruction to a wise man and he will be still wiser; teach a righteous man, and he will increase in learning. Book club is back! I do enjoy my time reading and discussing the books. We meet last month and read Left to Tell. That book is a great story of faith in the midst of crisis. It is a book that was hard to read in some parts and I had to take a break. It truly is an amazing story. y. 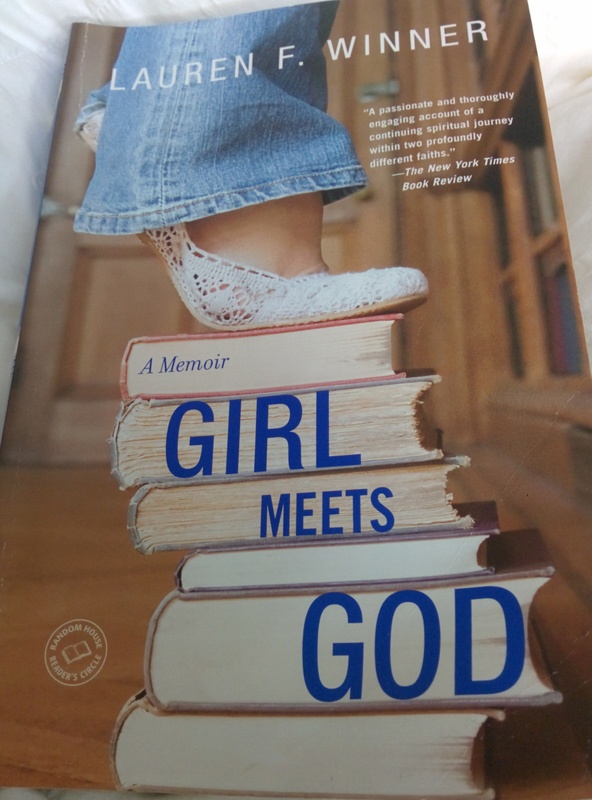 This book tells the story of Lauren Winner and her conversion to Christianity from Judaism. She was born to a non-practicing Jewish father and a non-practicing southern Baptist mother. Lauren is a scholar with a book addiction. She found herself first as an Orthodox Jew and then moved into Christianity. I was very excited to read this book. Unfortunately the book left me feeling confused and wanting more. The book bounces around in time. She mixed her Jewish and Christian time frames throughout the book. It made it confusing to know when she was referring or talking about. I found it hard to follow and frustrating. I will say, I found discussing the book helped me appreciate it more and brought more meaning to the story. I would recommend if you read the book, that you find someone to discuss the book with you. I give this book a 2 out 5 bookends. I’ve been reading a lot recently. Although, mostly I’ve been reading novels. Today I want to take a moment to review a slightly different book. The Bible, an ancient text that many study and use as a guide for their life. It’s a book that can be intimidating as it includes everything from history to prophecy. 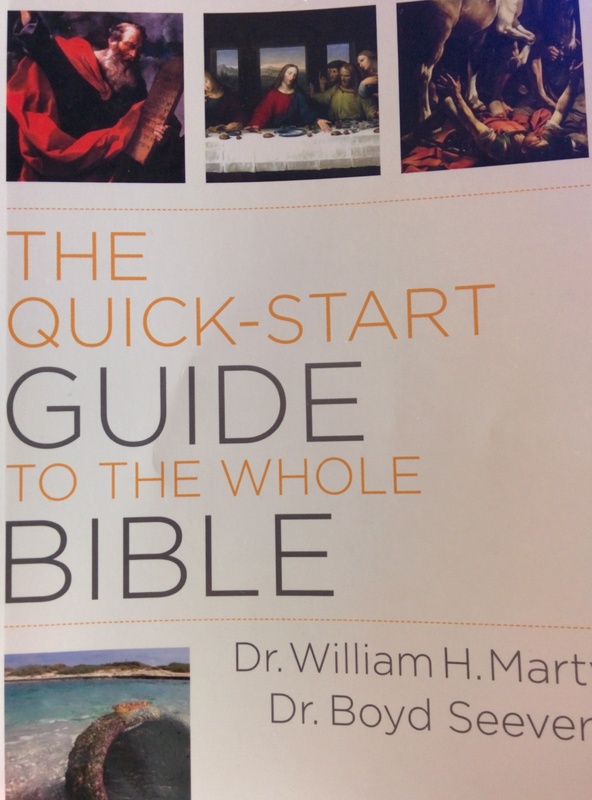 The reviewed book’s goal is to “cut to the chase” of the Bible’s books. It addresses the questions: What does it say? and Why does it matter? I personally own a self-study Bible. I find the extra information in the self-study Bible to be quite helpful and provide depth to the Bible. This book, I’ve found adds to my self-study Bible. It provides more to the point information in a conversational tone. I found reading this book felt like a really good conversation. It breaks down each chapter and gives a quick overview. The authors write an easily understood style that both those well-versed in the Bible and those new to the Bible can understand and appreciate. One downfall for this book is that if one has a self-study Bible or has done significant Bible study this book may not provide additional information. However, I would guess, if someone has significant knowledge of the Bible, they would probably purchase more scholarly written books. I recommend this book to anyone who wants to learn more about the Bible, specifically the importance and lessons chapter by chapter. I would especially recommend the book to new Christians or those who have had not completed other in-depth studies. I give this book a 4 out 5 bookends. I received this book for free from Bethany House Publishing in exchange for an honest review. Through Deep waters tells the story of Dinah, Ruthie, and Amos. Dinah was born to a prostitute in Chicago. She grew-up living and working in the Brothel. She was an outcast and made one mistake that she felt defined her. She found herself starting her life over in small town Kansas working in a hotel. Her roommate, Ruthie, was the daughter of the local pastor. She too is finding her way while working and sending money to help her parents. Following a childhood injury resulting in a limp, Amos has done well for himself. He is a local chicken farmer and sells eggs daily. He is a hardworking honest man. I loved this book. I’m starting to become quite the Kim Vogel Sawyer fan. In my opinion, the overall theme of this book is You are loved. Each of the three main characters are in spiritually different places. Ruthie struggles with her jealousy while Dinah has never heard any tell her about God. Amos is strong and steady in his faith. This is an awesome story where three lives intersect and faith is renewed. On a scale of 1-5 bookends, I hands down give this a 5 out 5. If you are interested in learning more about this author, go to her website here. Or read the books first chapter. I received this book for free from Blogging for Books for this review.